-2 (aha there are going to be 2 pages anyway!) - at 6 a.m. But most days are not so hard or long as that. As I said before, I don't know how long I'll be here and most likely would be gone before I could get a chance to tell you where I was going. If I were permitted to. There's very little new. 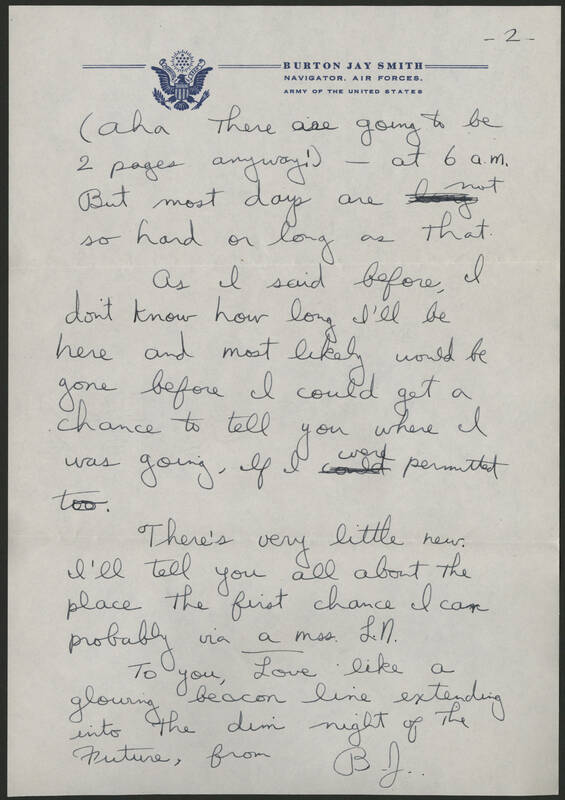 I'll tell you all about the place the first chance I can probably via a mss L.N. To you, Love like a glowing beacon line extending into the dim night of the Future, from B.J.